The iPhone 6 looks chubby compared to this startup’s new Android phone. China-based Oppo recently unveiled its new R5 smartphone, which is more than two millimeters thinner than Apple’s iPhone 6. 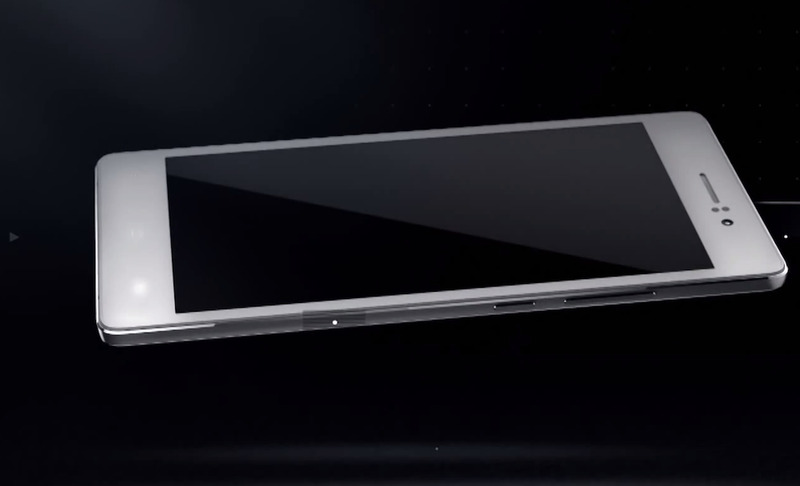 The sleek Oppo R5 measures just 4.85mm thin, compared to the 6.9mm iPhone 6. It’s the thinnest smartphone in the world, and it’s even too slim to fit a traditional headphone jack. You’ll need to use Oppo’s special adaptor, which is included with the phone. 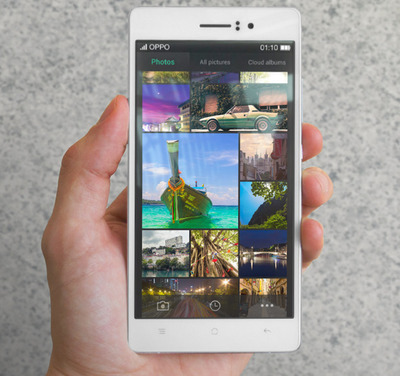 Although it’s super thin, the Oppo R5 comes with the same hardware specifications as its thicker competitors, including a 5.2-inch 1080p screen, 2GB of memory, and a 1.5GHz octa-core processor. The term “octa-core” means the phone’s processor has eight different parts (or “cores”) that can each handle separate tasks, meaning it should be able to multitask easily. Despite being more than two millimeters thinner than Apple’s new flagship, the Oppo R5 comes with a larger battery than the iPhone 6 (2,000 mAh vs. 1,810 mAh). There’s also a 13-megapixel rear-facing camera and a 5-megapixel front camera, which is unusually large compared to most phones that include 1-2-megapixel front cameras. The Oppo R5 incredibly thin, but you’ll notice that the camera juts out a bit. The phone comes with metal-crafted edges just like the iPhone 6 and Samsung Galaxy Alpha. 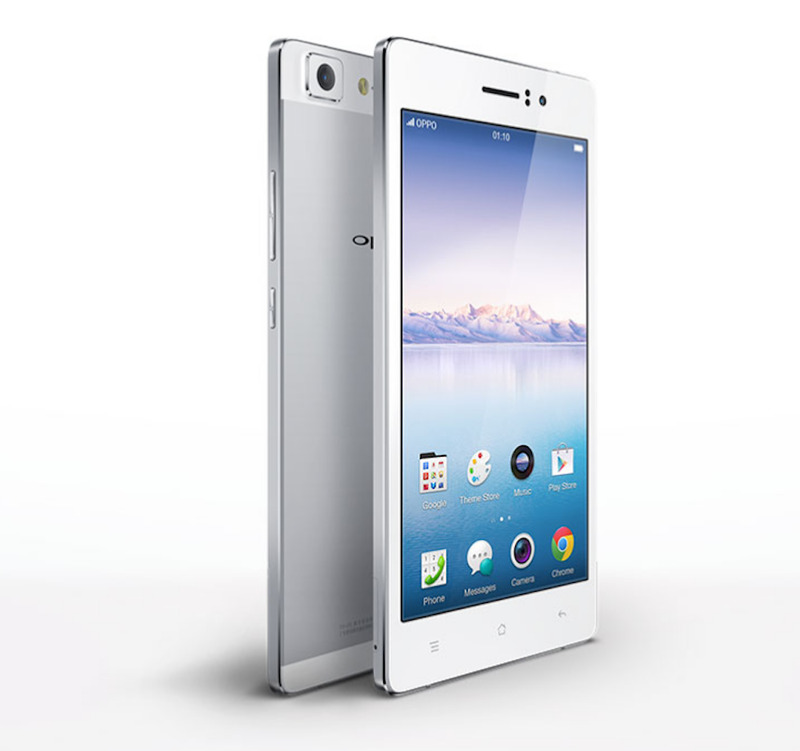 With a 5.2-inch screen, the Oppo R5 is about the same size as the Samsung Galaxy S5. Check out Oppo’s video to learn more about the R5.